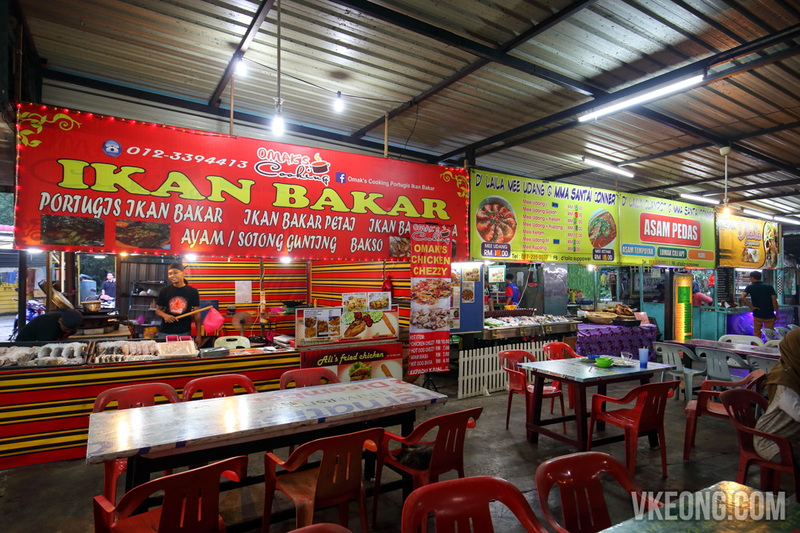 Last weekend, we went on a food hunt in Nilai. If you have been wondering if there’s really anything good to eat in this town, well the answer is yes. And the best thing is, they are all within 5 – 10 minutes drive from each other. 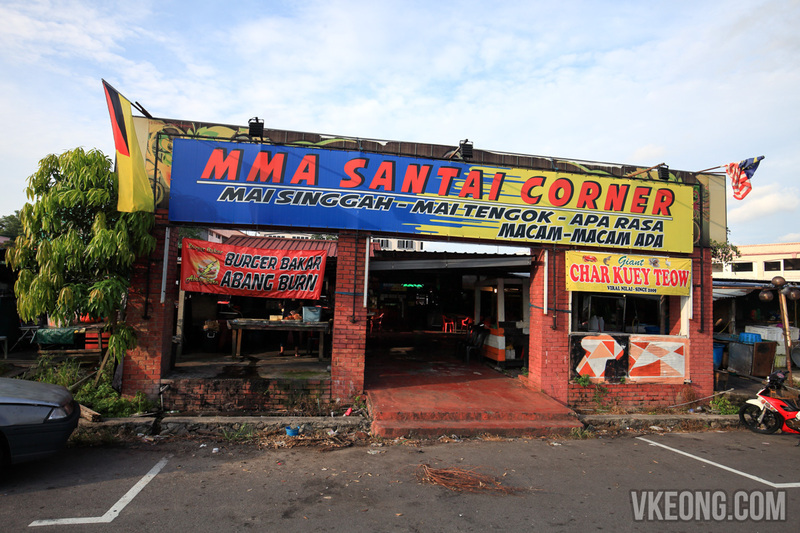 For dinner, consider dropping by MMA Santai Corner. 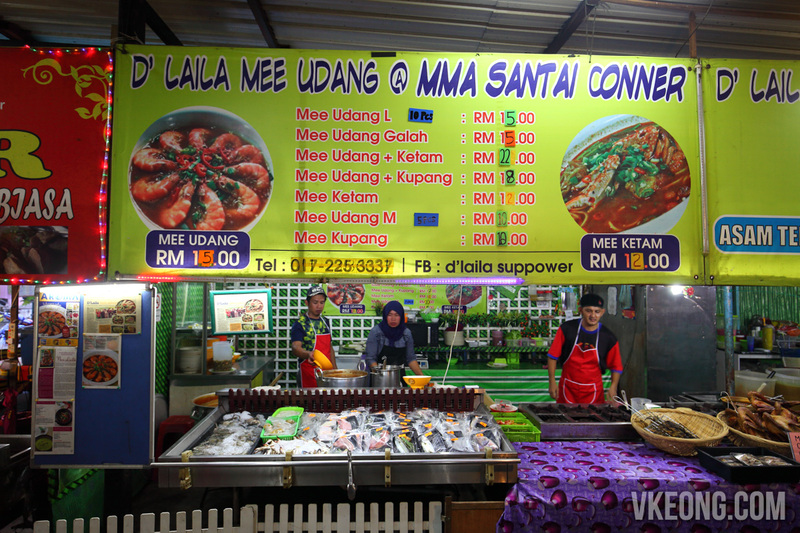 This food court is probably the largest in Nilai with D’Laila Mee Udang being the most popular stall around. The owner, Kak Laila had a humble beginning working as a canteen operator in KLIA. One day, she met with a Chinese chef who gladly gave her his prawn noodle recipe. After some adaptations (mainly to suit the Malay taste) it became a firm favorite among her customers. 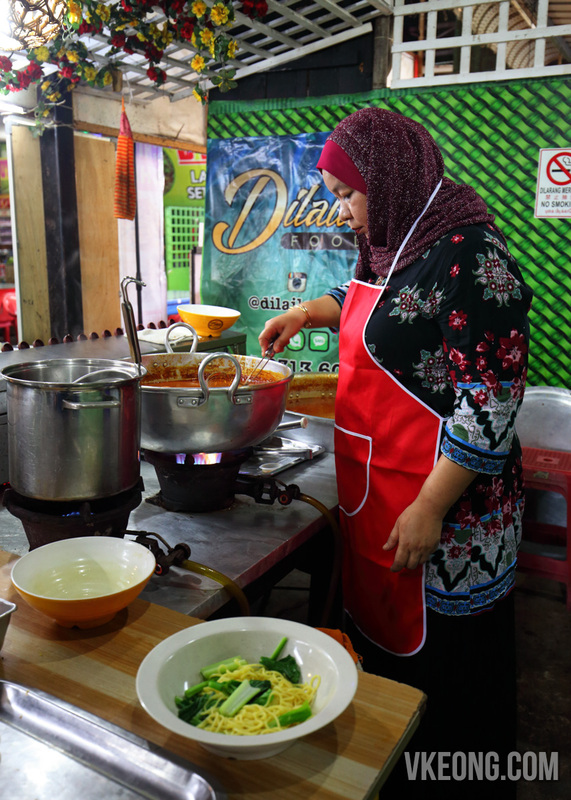 Since then, her business has grown from a single stall to an entire row of it selling asam pedas, sup tulang, ikan bakar and even seafood lambak. Since Nilai is nowhere near the sea, cultured prawns are used in D’Laila Mee Udang. 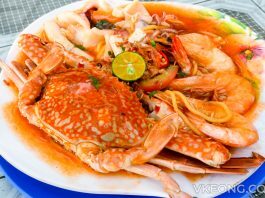 The most extravagant serving is priced at RM15 which comes with 10 pieces of prawns. 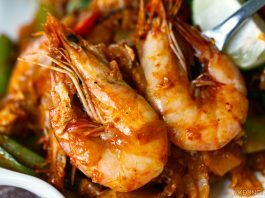 A more affordable version is served with 5 pcs of prawns @ RM10. Kak Laila takes great care and pride in food presentation, so the prawns are meticulously arranged on top of the noodle. 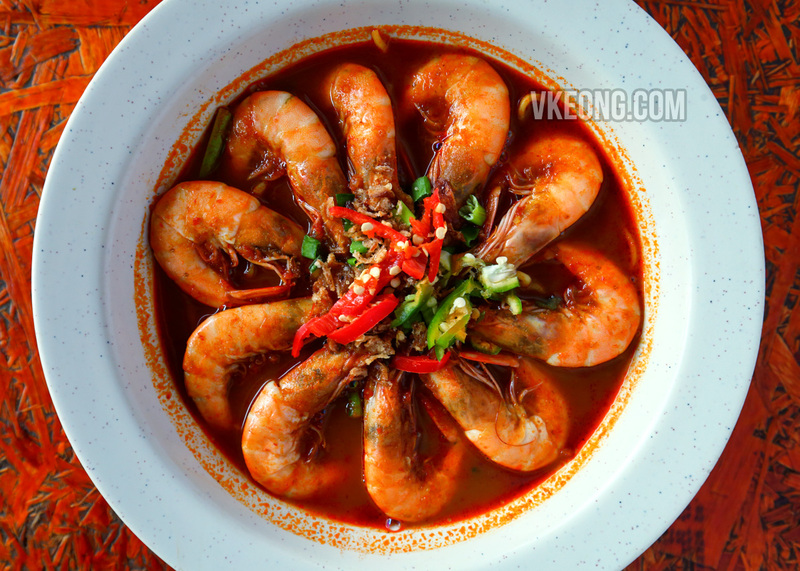 Flavor wise, the mee udang is distinctly spicier than what we have had before. 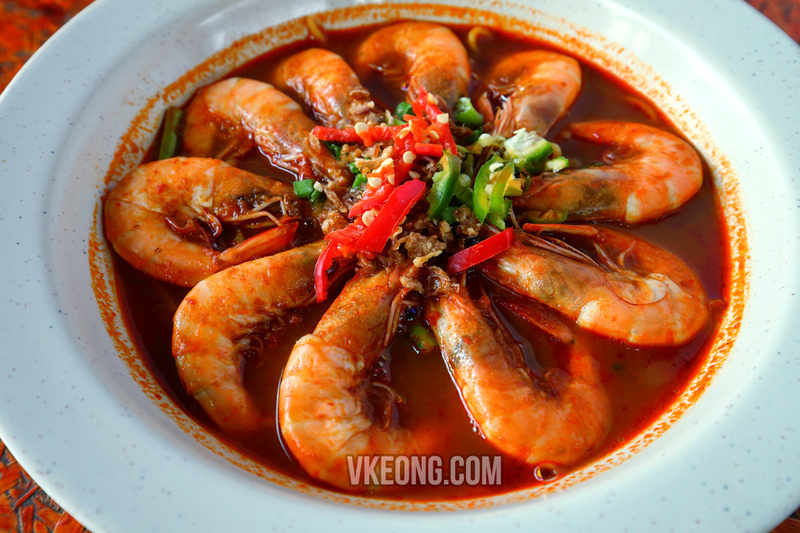 The rich broth is somewhat tart and curry like which complements the sweetness of the prawns. Overall, it’s different (in a good way) from the mee udang in the north where it tends to be sweet and tomato-ish. 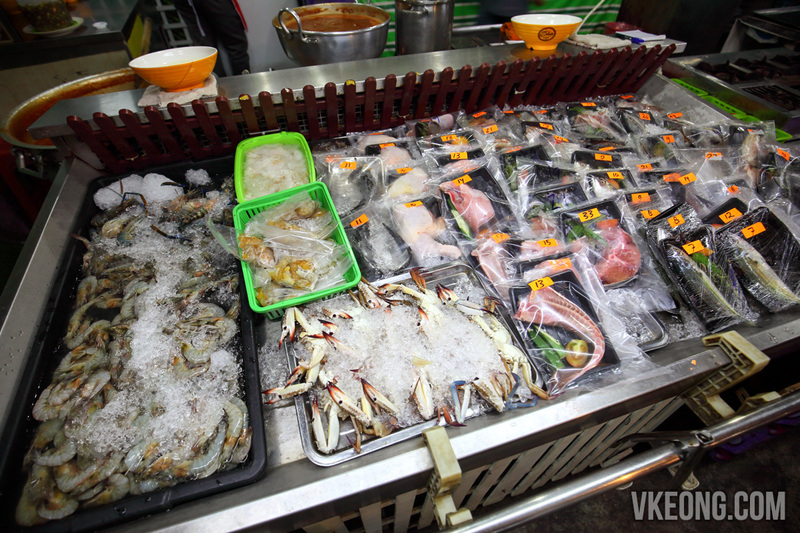 If this was prepared using sea prawns, I bet it would taste even more delicious. But I guess that would double the price which is not feasible to be enjoyed on a regular basis.